Warm up your nights in your Heart of Texas backyard, laying poolside while enjoying the newest trend of additional features for your backyard space! Apart from being aesthetically appealing to look at, they also add a bit of warmth to your outdoor space. Outdoor living is certainly trending as more families enjoy making amazing reminiscences outside. 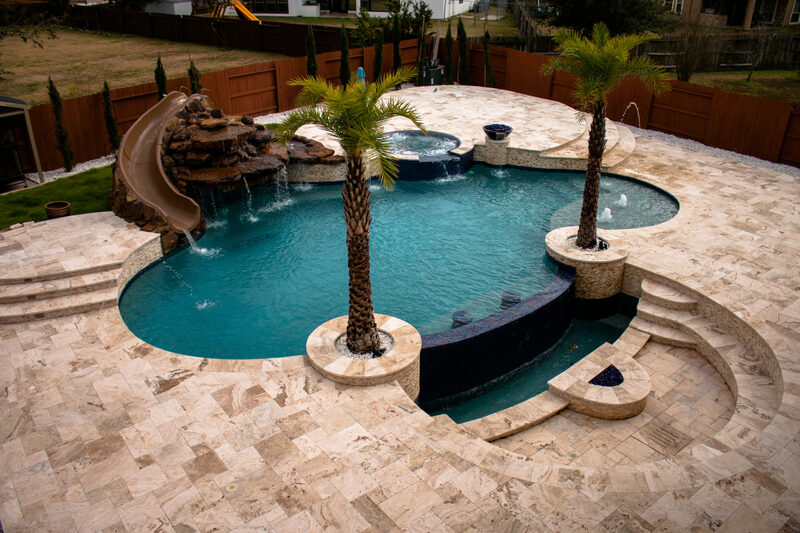 One of the greatest benefits of having a Premier Pools & Spas of Heart of Texas backyard oasis is the ability to entertain in the comfort of your home. Apart from amazing fun in your pool, our backyards have a lot more! A Premier Pools & Spas backyard also offers special moments gathered around your fireplace, family cook-outs in your outdoor kitchen, soothing nights in the spa, and more makings around your fire-pit. If experiences such as these have gotten your attention, you need to call Premier Pools & Spas of Heart of Texas and turn your backyard dream to an amazing reality! A fire feature is easy to incorporate into your backyard pool design, and it will create an atmosphere that’s calming and welcoming. There are lots of options on the market when it comes to fire features, so make sure you talk with your Premier Pools & Spas of Heart of Texas representative on the latest options and trends. You can warm up your outdoor space with pleasant additional features such as a fire pot, a fire pit, a fireplace, or even a fire wall! Fire walls are one of the newest trends in backyard fire features. These additional features are just beautiful and bring a fresh and artistic form of fire to your outdoor space. These features create a focal point in your backyard and illuminate the swimming pool beautifully. This is a stunning focal feature included in your pool design. Usually, a fireplace is created from materials to either complement or match your home as well as your pool design. The great thing about constructing a custom backyard is there’s no restriction to creativity. Apart from offering warmth, it will also be a pleasant getaway for family members to gather, sit, as well as have special moments chatting together in front of the crackling open fire. 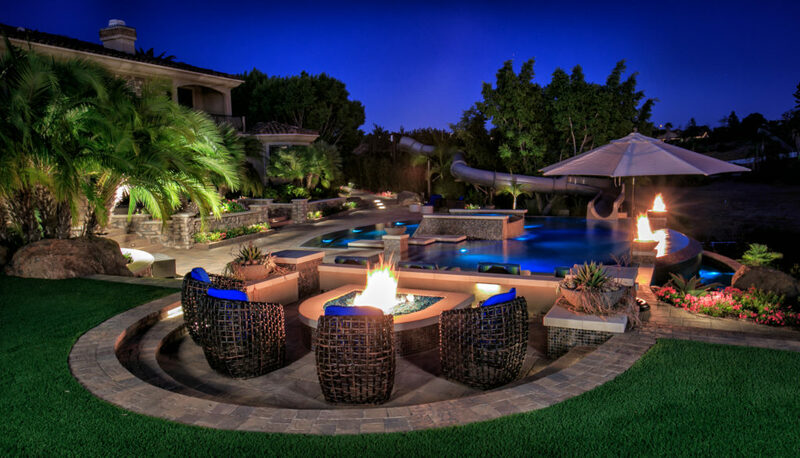 A fire pit has been a popular yard feature for quite a while now. They are common since they are an easy way to offer a warm area to gather, conversational pit, and an extra seating area. Fire pits can be more elaborate or a simple design to suit your backyard’s look and design. With lots of fire features to decide on, the only challenging decision is determining the type of additional features you prefer best. No matter your preference, you will love the ambiance it offers as it illuminates your Premier Pools & Spas of Heart of Texas pool and spa at night. Talk to a professional that will guide you through the entire process and design something that you’ll adore and be happy with. Your outdoor space will be a warm invitation to making memorable reminiscences. Pool differences- What's the Difference between Fiberglass and Concrete pool Installation?